Shopify is well known for their eCommerce features that are capable to bring new customers to your local business. In this article, you’ll not only learn how to create an online store with it, but also pick up important SEO techniques that will generate traffic to your site. It is something that can be done entirely on your own without the help of professionals so make sure to read until the very end. There are generally 4 hosting plans to choose from and the main differences lie within the transaction fees and reporting features. Here are their pricing structures (per month) at a glance. The platform comes with a 14 day free trial, so you can always give your site a temporary name and pick a plan later. If you decide to go with a professional business name, Shopify’s custom domain can be purchased for about $14/year, which includes WhoIs privacy protection and a Secure Sockets Layer. After signing up, you’ll be directed to the back office of the online store and here’s where the real SEO work begins. SEO stands for Search Engine Optimization and it’s basically a marketing process that enables the local community to discover your business through the search engines such as Google. In fact, the higher position that you can achieve through local searches, the more traffic (aka customers) you’ll get. There are many areas within an online store that can be tweaked to make your site more obvious in the eyes of Google. Let’s begin with the first few important ones. Your business logo is the most important element that needs to be incorporated so take the time to create a simple yet relevant graphic that best represents your products/services. There are generally two places to display them. First, there’s the logo header on the Homepage where you can access through Online store > Theme > Customize > Sections > Header > Logo Image. And second, convert your logo to a 16×16 pixels and upload it as a favicon. The pathway for this is Theme > Customize > Theme Settings > Favicon. These two are basically text that tells the search engines and users what a particular webpage is all about. They are important in three different pages – homepage, collections and product pages. In order to optimize this feature, you need to find a targeted keyword and understand the customer intent. When users enter a particular search term, this is interpreted as a potential keyphrase. From a business point of view, what phrases do you want to be known for? By doing a quick brainstorming using the Alphabet Soup Technique, you can actually find out what your community are searching for within your niche. Those are quite a lot of keyphrase choices, but ideally, you should select one that is most descriptive (aka long tail keywords) and low in competition (meaning, not many business websites ranked for that term). According to Jaaxy, my favorite keyword tool, here’s one that fits the criteria. Any keywords with a high number of searches (AVG > 100 per month) and low number of competitions (QSR < 100 ) is a good targeted keyword to use. In Shopify, go to Online Store > Preferences and you should be able to find these columns. Make the most out of the 70 characters provided for homepage title and 160 characters for homepage meta description to fully describe about your business, using the keywords in mind – think about giving a good impression. For this particular keyword example, the end result will look something like this. The other page to optimize is collections which is also known as ‘categories’ in other type of eCommerce solutions. Collections are basically how products are grouped together so that it is easier for people to find what they want. Occasionally, collection pages can also show up on the search engines and when they do, you want to make sure that the text is appealing and encourages the users to click on it. In your online store, you can find the columns for title and description under Products > Collections. Next come the product pages. Essentially, the URL, title and description should contained the product and keywords that people use to search for a particular item online. These keywords can also be used to structure the rest of your business content as you create internal links from your blog to your product pages. Say, your business is about selling baby products online and one of them are cloth diapers. A quick search on Jaaxy tells us that the following phrase makes a good keyword choice (remember the metrics that I mentioned earlier?). Now for optimization, go to Products > Add Products, scroll all the way down until you find the search engine listing preview. Write in a unique manner and the end result of the product title and description may look something like this. Now that you know about selecting good keywords, the next place to use them would be in the images, especially those that feature your products. This can be done by entering the keywords in the Alt Text of the image settings. Go to Product > Add Images > Edit Alt Text and you’ll see a pop up window with a column that you can insert targeted keywords alongside the image description. This minimizes user confusion, improve sales and allow Google to better understand your site structure. In order to create this flow, group a few Products under different Collections and create a ‘Collections’ tab in the Main Menu which will appear on the Homepage. If you go to Online Store > Navigation, you should be able to create the menu tabs right there. Google provides a variety of free tools to help online businesses and there are two important ones that you need to set up. The first is called Google Analytics and it is basically a tracking software that captures data about the way visitors interact with your website. With this data, you’ll be able to fine tune the performance of your online store and improve sales conversion on certain pages. The video below will show you how to embed a tracking code (provided by Google) on your site to enable the process. The second tool is called Google Search Console and it’s a great software to monitor the health of your site, such as broken pages, indexing problems and keyword rankings. In order to activate this tool, watch the video below to see how you can perform a verification with Google. Lastly, there’s a component called Sitemap which is automatically generated by Shopify whenever you create new pages, collections or blog posts. It contains all the links to these pages and is used by the search engines to scan your site, index and rank a particular content before presenting them to the users. A sitemap is tracked using Google Search Console so after the successful verification, enter the ‘sitemap.xml’ file under ‘Add Sitemap’ and you are good to go. As part of boosting your rankings on Google Search results, Shopify has designed an app that allows your customers to leave reviews after purchasing a particular product. Product reviews have a lot to say about the quality aspect of things and making these testimonials as transparent as possible can improve customer’s confidence and further increase your product sales. In order to enable this feature, simply go to the Apps section, look for Shopify Product Reviews and click ‘Get’ to activate it. Any web-based reference that can provide a mention of your business’s name, address and phone number is called a citation. Local directories such as Yelp, Foursquare and City Search are great sources to create these citations. If you are a newcomer, go into these sites to register your business. If your retail store has been operating for a while, there’s a good chance that the site has been listed by someone. In those cases, just go ahead and claim the listings as yours. Another important web mention that can affect your online store’s ranking is called Google My Business (GMB). 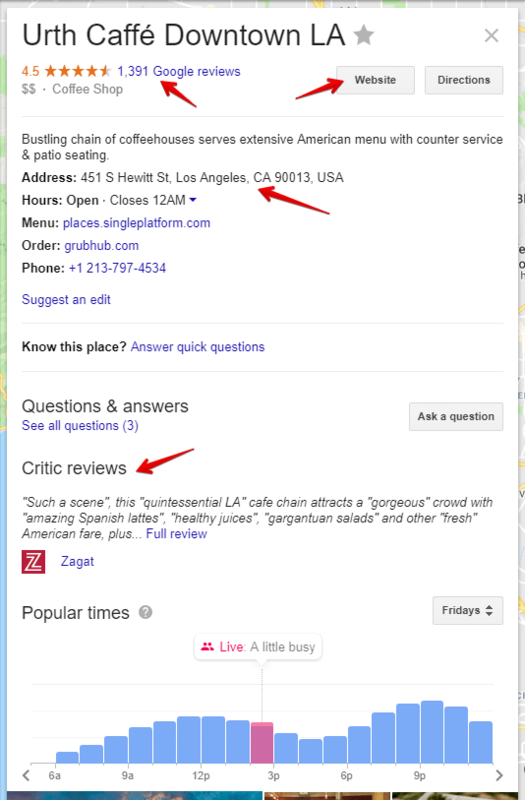 This free tool basically publishes your business on Google’s directory so whenever someone search, for example “coffee shop in Los Angeles” or “hardware store near me”, there’s a higher chance of your business showing up in the results. An online store with a blog? Yup, you read that right. Besides all the technical stuff, there’s also the creative aspect that counts as SEO which is content creation. Blogs aren’t just a bunch of articles – it has the capability to make you an expert in your niche, help your business rank for more keywords as well as getting targeted visitors to your store. 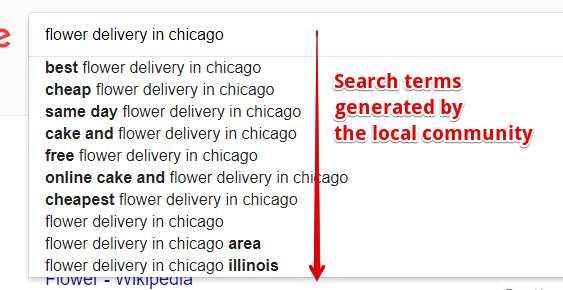 Similar to the keyword techniques that we used in page title and description, you can leverage from a variety of long tail keywords to come up with interesting topics related to your business. For example, if you sell juices online, your blog can always talk about the importance of juicing, juice recipes or latest gadgets/technology that is involved in producing better juices. Even though you aren’t promoting your products directly on those blogs, you are empowering the audience with knowledge about your niche and linking relevant phrases within the content to specific product pages will naturally send more visitors to the online store. I can’t tell you how many times I’ve seen local websites that create an online store with Shopify – all fancy looking – but don’t optimized for SEO. In reality, these businesses lose a large percentage of customers to their competitors (who is better at SEO) on a daily basis yet they don’t even know it. If you want a store to generate business 24/7 online, these fundamental techniques will certainly put you on the front page of Google and get your local community to notice your brand. For more tips about growing a successful online business, please visit my recommended training platform to see how you can benefit from their awesome tools and programs. Question – What is your experience in online store building? How has it worked for you so far? Please share your thoughts in the comment area below. I had a Shopify online store set up and put in all my products. Even had a few articles set up with great graphics. However, I found it tough to get traffic in without paying for ads (Facebook and Google). I ended up shutting it down. Perhaps I was not doing it correctly at that time? Hi Jacky, without frequent content, it can actually be very challenging to rank organically on Google as a new eCommerce business. That’s because most of the top places are already dominated by giant retailers like Amazon or Walmart. Depending on whether you are drop shipping globally or selling locally, the optimization process also varies so this could probably be an area where you’ve missed out. Out of curiosity, are you still running an online store now? And what platform are you using? I have never used Shopify before, but after reading your review, I got a much better understanding at how it works. Seems like a really great platform, and one I may want to try out in the future. Have you personally used it before, and if so, how did it go? Hi Michael, I’ve used it to try drop shipping before. Very easy to set up and product integration was seamless. But I didn’t venture future, after realizing that selling mass-produced items isn’t my thing. Thanks for the tips you have offered here. They have really come in handy for me. On the brand aspect, I would like to ask if it is also wise to add a favicon to make the website stand out more. I have heard that it also makes the store memorable which adds to the traffic in the long run. What do you have to say about this? Yes Dave. I briefly mentioned that the favicon should also be added alongside the business header logo. Favicon is no guarantee for traffic though. It just enhances the user experience when they open different browsers to search for things online. 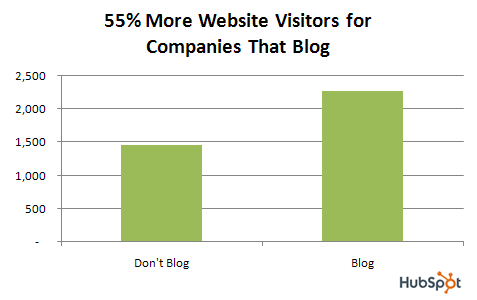 The graphic may help them to remember your site more often. A very thorough and easy to follow guideline you have created on getting started with Shopify! I have created two stores so far, one of which is active. The main downside that I see with them is that you are tied to the basic themes and the upgraded ones come at a high price. A secondary downside I see is that you will end up spending quite a bit of money as your business grows and that amount increases as your business does. Extra plugins and traffic attracting tools can also run your overhead costs up a lot too. Some of the same or similar plugins I use for my other stores using different platforms are one-off. Other than these downsides, I most certainly think that Shopify offers a quick way to get started selling online and get into the e-commerce business. I use a combination of WordPress WooCommerce sites and another called AliDropShip, for the most part, these days. If someone wants to create an online store quickly with little hassle, Shopify is a good solution. In regards to getting traffic, some of the plugins and add-ons will help. I have found that adding in a daily contest has helped, i.e. a spinning wheel where they get a discount on their order (valid for use on that day), using pop-ups, etc. Thanks for the great tutorial, I picked up a couple of points that I had not thought of even after setting up 2 Shopify stores to now! Hi Dave, thank you for this valuable sharing about your experience with Shopify. Clearly, what you get from Shopify out of the box is basic and there are many add-ons if you want to expand the growth of your business. I believe most eCommerce solutions work in that type of model, but in the end, you’ll get what you pay for. As for AliDropship, I am keen to know how they fare against Shopify or WooCommerce. What’s your experience with this plugin so far? I have been looking into Shopify because I’ve heard of some marketers making $1,000s in a single day by paying for shoutouts on Instagram and selling products via eCommerce. Thanks for such detailed guidance. I’ll definitely be following these steps when I get around to setting up a Shopify store. I would agree with you that your logo and brand are the most important aspect. This is especially true when it comes to an online store. People will buy products from people they trust. Having a brand really helps with that. Keyword research is still an area that I’m not quite familiar with, so I am glad you recommended a tool for me to check out. Thanks. Hi JD. It’s always important to start any type of online business with a few niche keywords in mind. Jaaxy is easy to use and you’d be surprised with the numbers of local keywords that are still untapped by businesses around us.